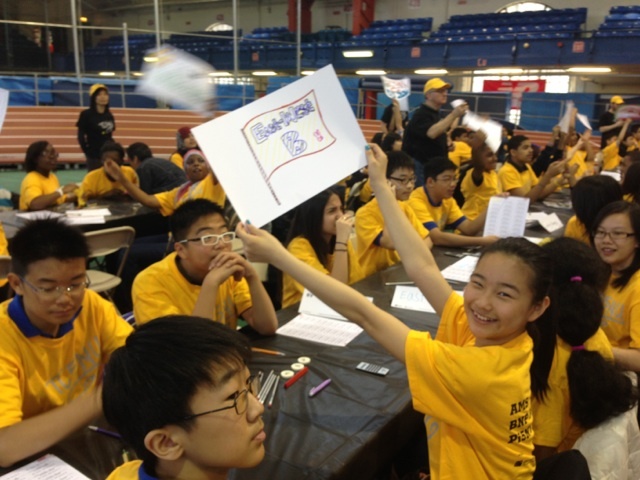 On Saturday, May 4th, thirty East-West middle school students attended the 2013 AMS Pi5NY Math Tournament at The Fort Washington Armory in Manhattan. 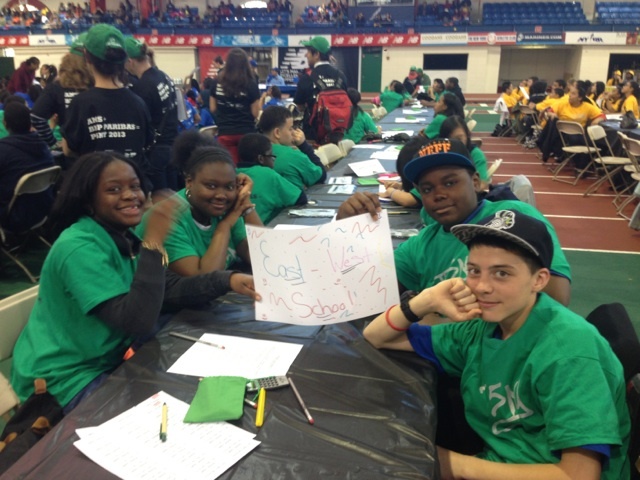 Students in the 6th, 7th and 8th grades competed against other students in the 5 boroughs of NYC. East-West brought 6 teams: one 6th Grade Varsity, two 7th Grade Varsity, one 8th Grade Junior Varsity, and two 8th grade Varsity. Upon arrival, all students participated in an Olympic-style opening ceremony. Olympic-style opening ceremony, a parade of 1,200 “mathletes”. Then, each team competed with their knowledge of math skills and concepts against others in both their grade and division in a 45 minute competition. 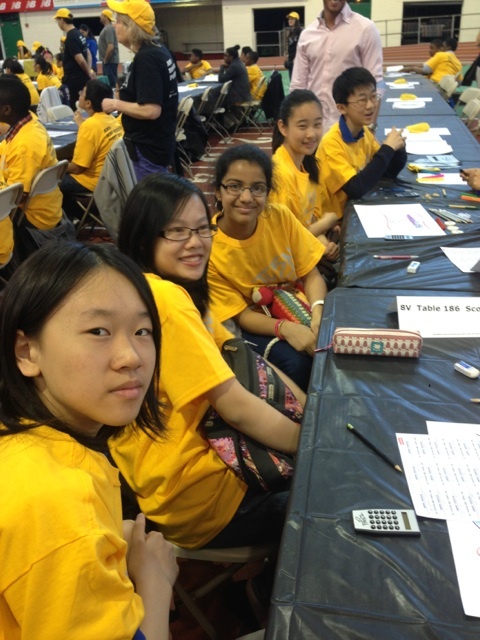 There were a number of different problems with point values ranging from 100-500 points – meaning that, as well as answering as many questions as they could correctly, teams had to strategize how many hard or easy ones to attempt. 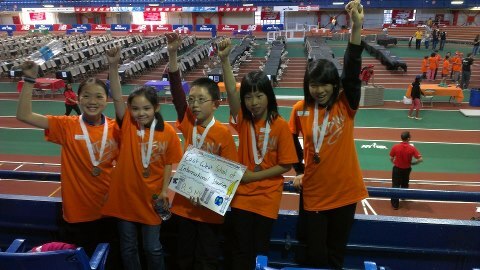 Once the scores were calculated, there was an Awards Ceremony where the East-West 6th grade team won third place and each brought home a medal. Congratulations to our 6th Grade Varsity team! 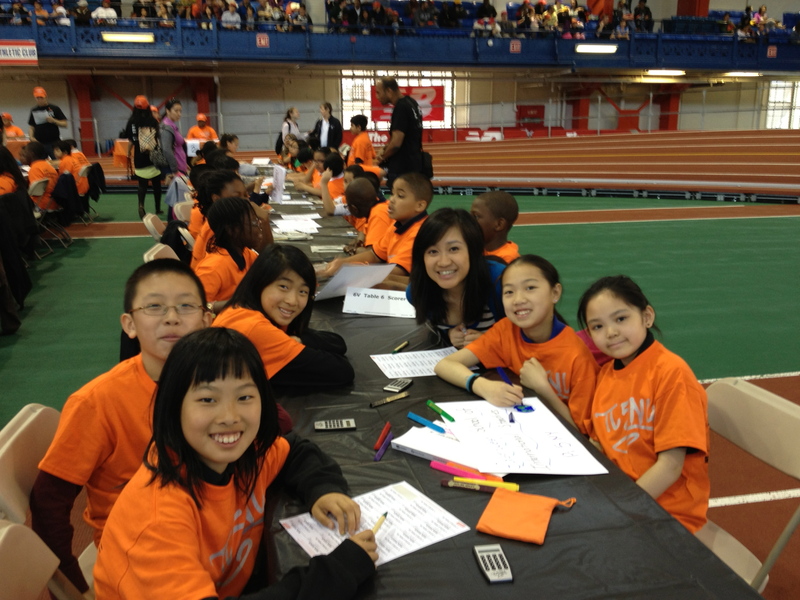 This was my first time bringing a large group of students to a math competition. 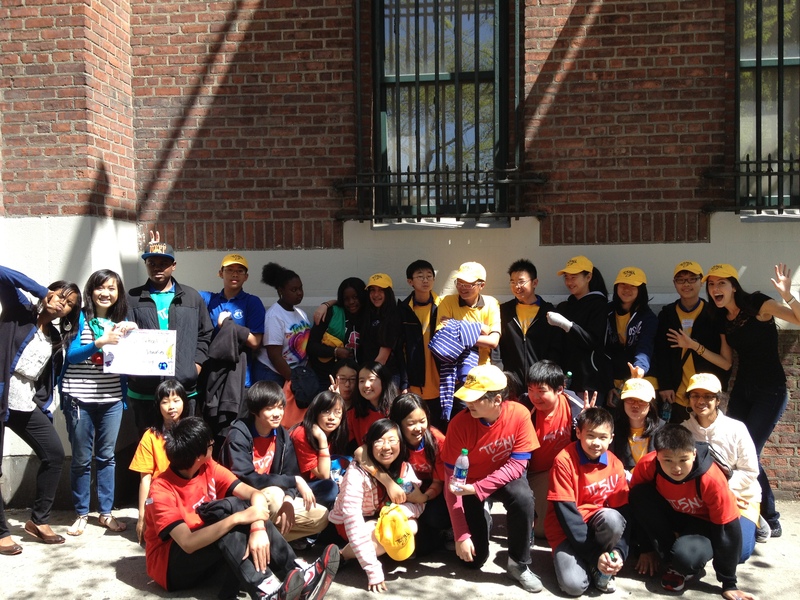 It was also my first time taking a field trip with students on a Saturday. 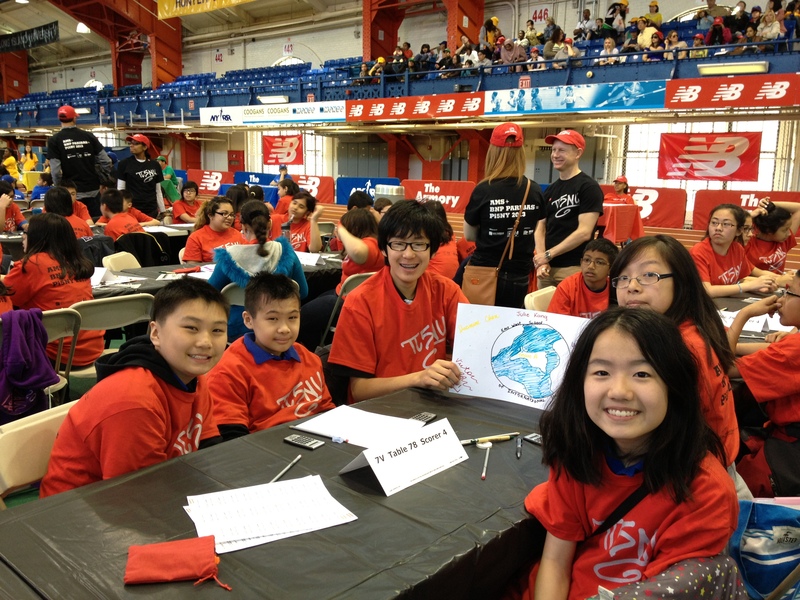 At first, the students seemed nervous, but once the competition began they were all smiles. Every time a student got the correct answer, our East-West section went wild. 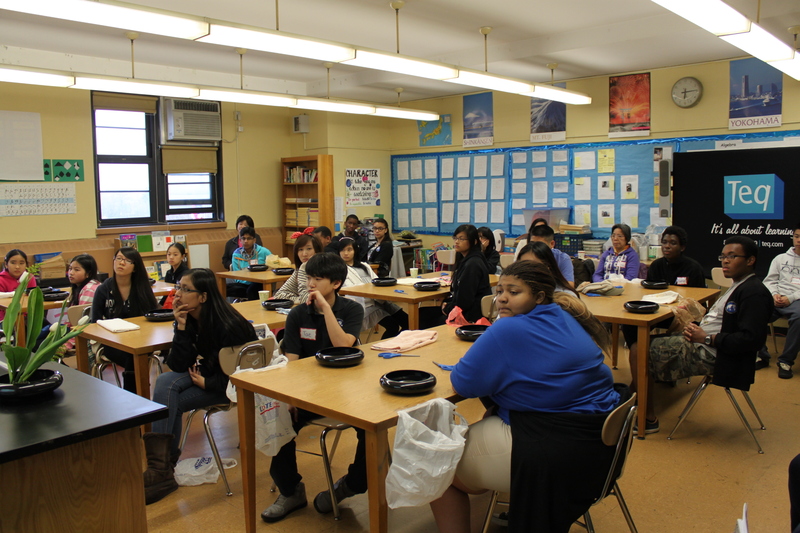 I was so happy to spend the day with Ms. Lee, Ms. Markinson, Ms. Screen, and all of the students and their families. 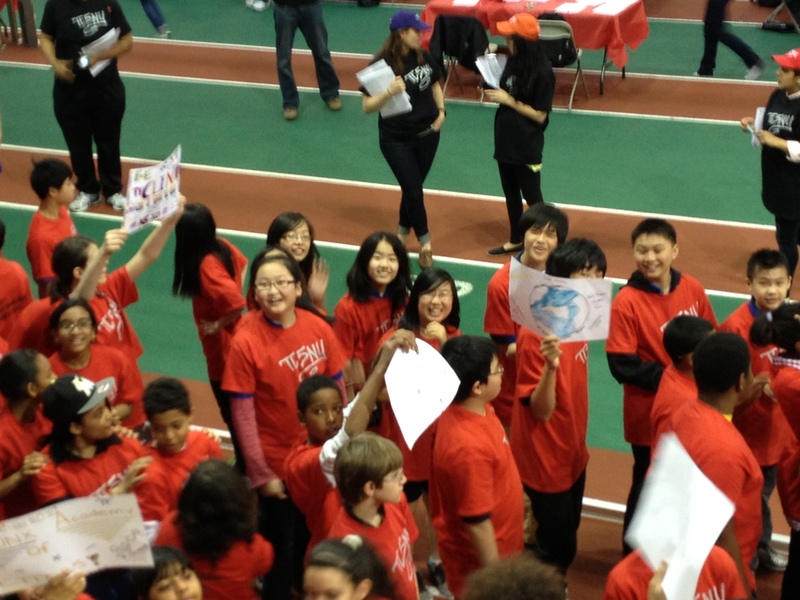 While the students competed, the teachers and parents sat in the crowd cheering them on. We took pictures, ate some food, and danced to the music in our seats. Although some of the math questions was described as “hard” and “impossible” all agreed that it was an especially fun day. I hope to be a part of this event next year! Congratulations to all the students who participated, and thank you to all the teachers and parents who made this event possible. For members, this club aims to develop high self-esteem, a positive self-image, and confidence through the performing arts. Students are required to analyze music from their favorite bands, connect the lyrics to their lives, and create a singing and dancing performance that will be showcased at Muster. 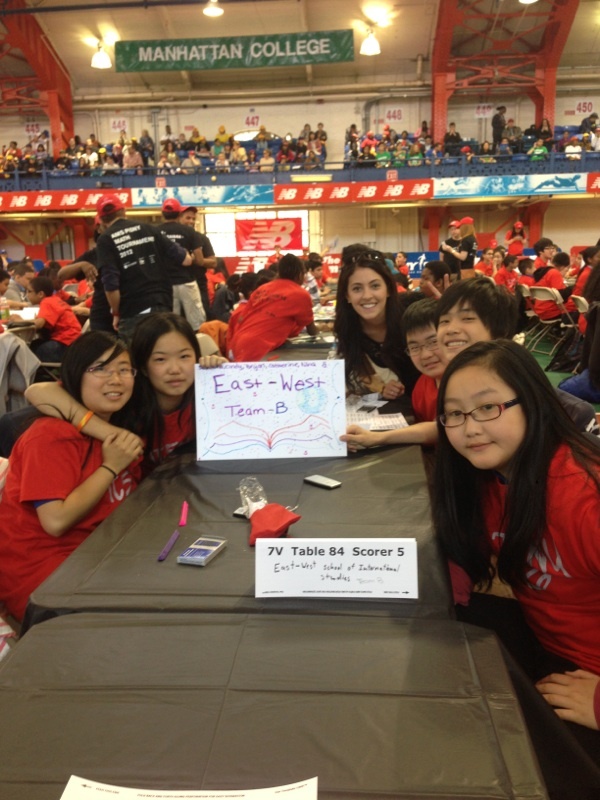 According to Vicki Zhang, Olivia Villafane, Jae Cheong, Pauline Chen, and Lei Lei (2012), “One Direction has inspired many of their fans with their personalities and their songs…Their song ‘Little Things’ helped girls realize that they may not be perfect but it’s still okay…There are many talented students at East-West but some are afraid to show their talents. One Direction inspired us and many other fans and we believe that they would inspire the students to not be afraid to express their talents to the East-West community. We will do performances of showing these talents like dancing or singing. We will have group discussions of how One Direction inspired us. We will find the meaning of lyrics and explain how we can relate it and what does it mean to us personally. Therefore, this is just an overview of what we are going to do in Dare to Dream.” The founders of this club are extremely excited and dedicated. They drafted an initial proposal and have had multiple meetings with administration to start this club. I believe middle school boys and girls are looking for a way to express themselves artistically in a safe setting. Family and friends are welcome to attend. Hosted by our Math Department. Contact Mrs. Lee or Ms. Markinson for further details. 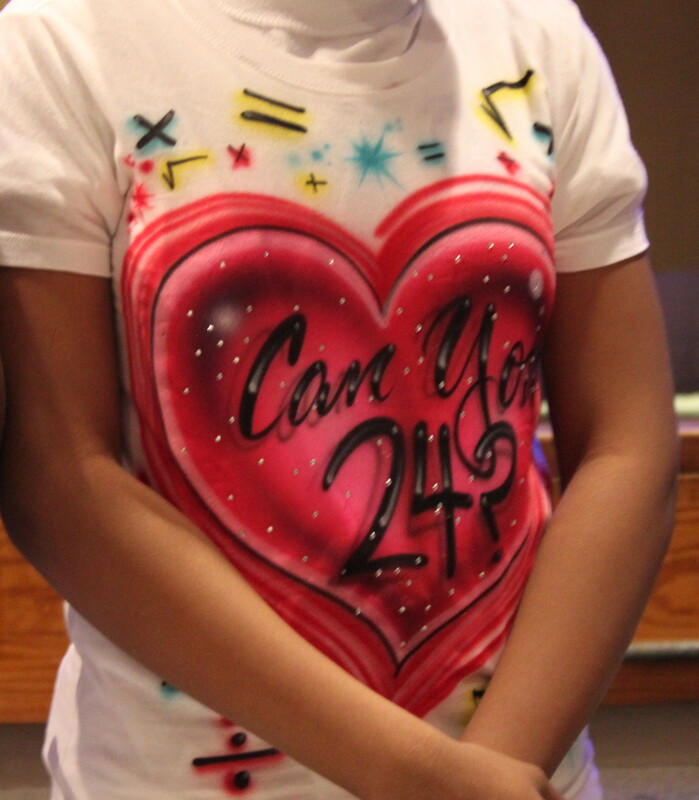 Can you 24? is a unique mathematics teaching tool that has proven to successfully engage students. 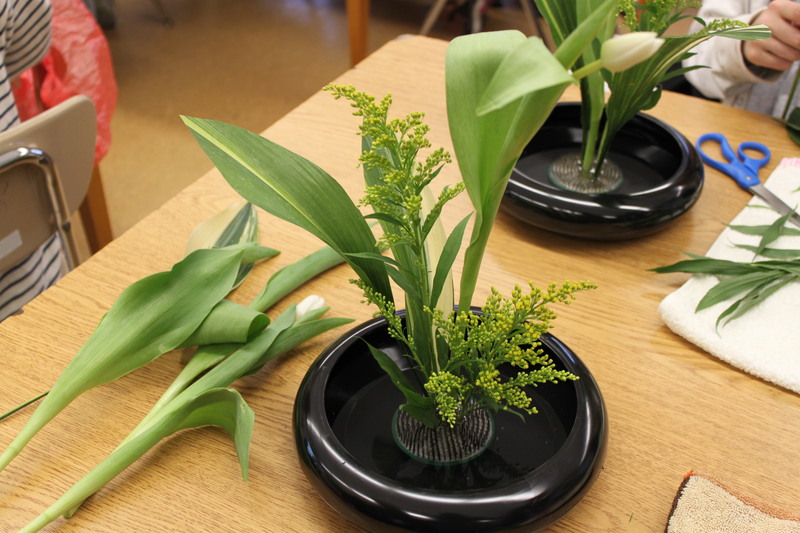 Ikebana is commonly referred to as the Japanese art of flower arranging. 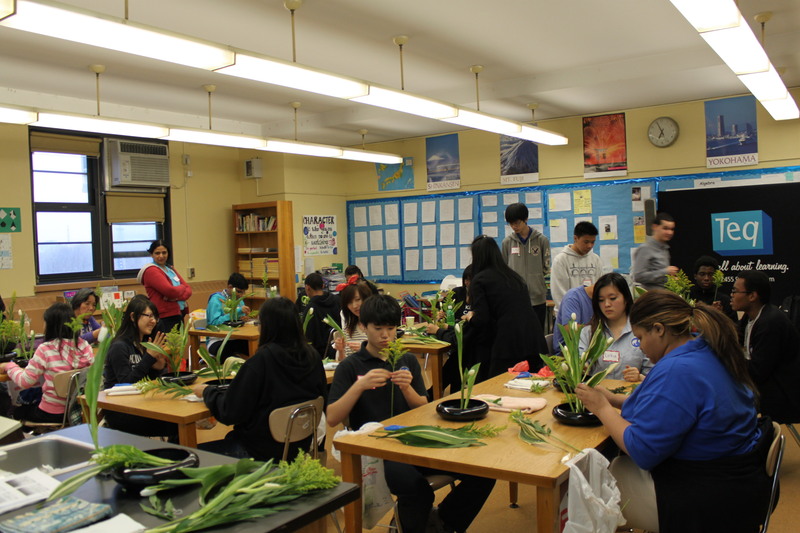 Ms. Otsue, a Japanese language teacher at St. Ann’s School in Brooklyn, is a member of the Ikenobo School of Ikebana and regularly conducts Ikebana workshops. 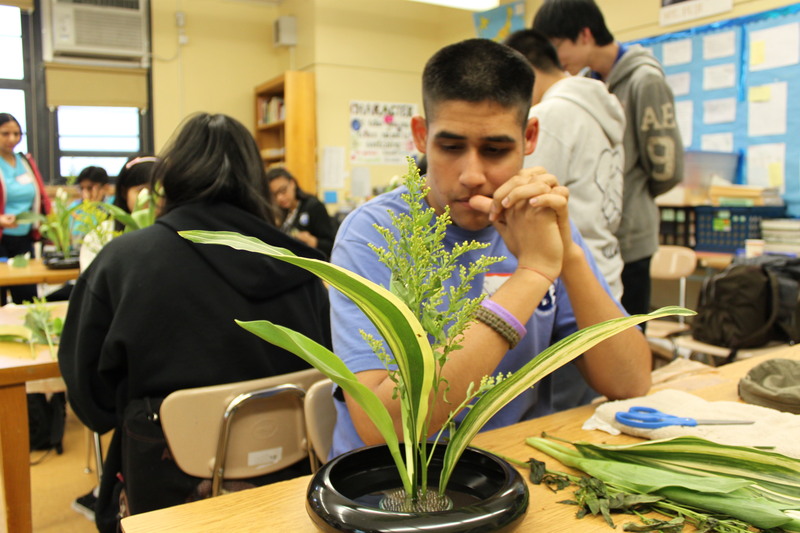 Our students had the opportunity to design and build their own plant and flower arrangement. 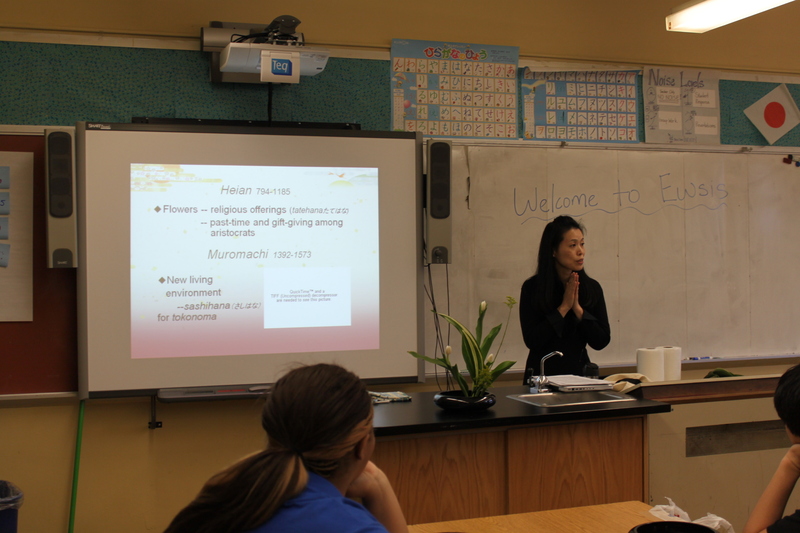 All participants gained a first-hand appreciation of the zen values inherent in traditional Japanese arts such as Ikebana. 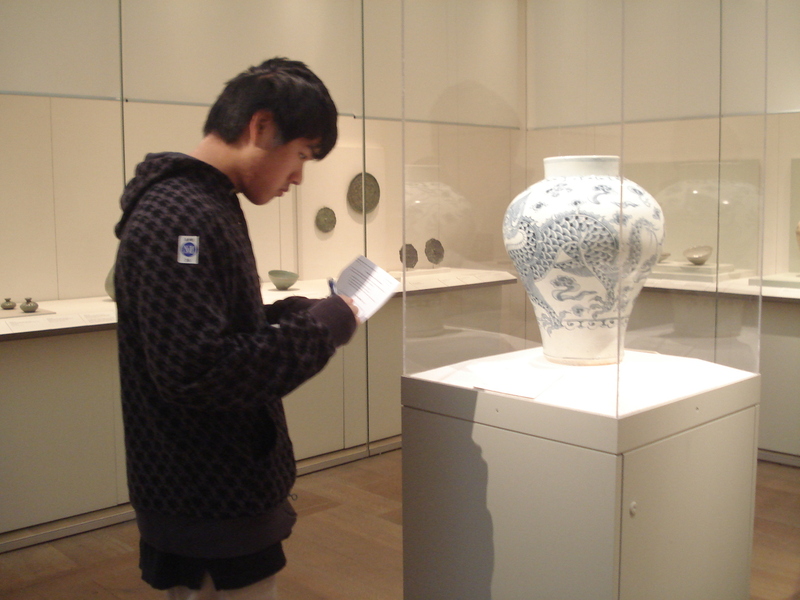 Many of our students were amazed at how much complex meaning lies in a seemingly simple art form. This cultural experience is at the heart of East-West’s School Mission and also relates to each of the four pillars of the East-West School. The four pillars of East-West, Honor, Excellence, Curiosity, and Celebration, are infused in our teaching and learning environment. 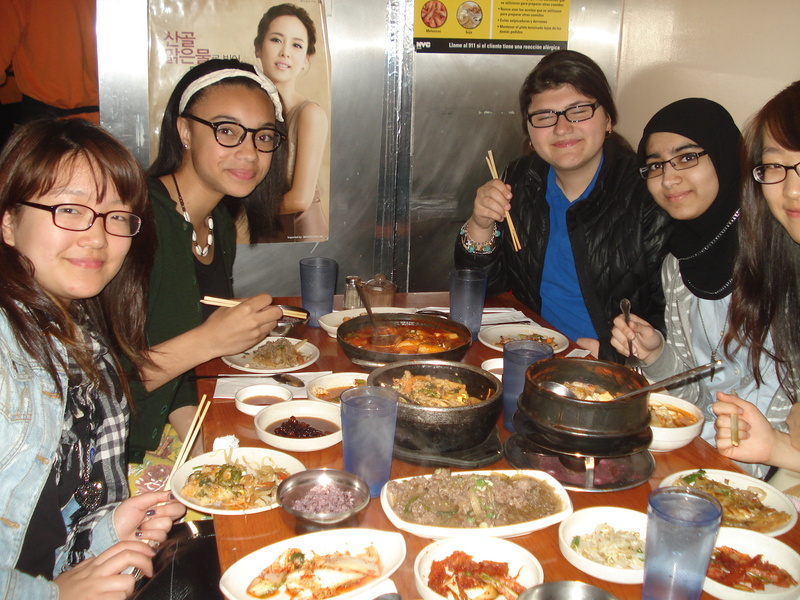 This workshop was fully funded through our Sakura Grant program, which aims to bring hands-on experiences to students in East-West’s Japanese language program. 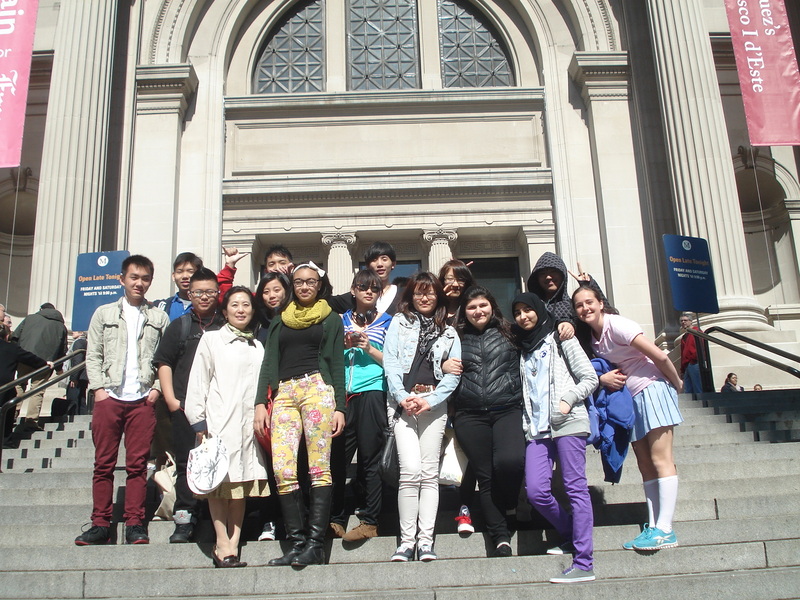 Students explored the Korean Arts section at the MET. Next is a behind-the-scenes tour of an importing company where our students learned about the day-to-day operations of a wholesale business. 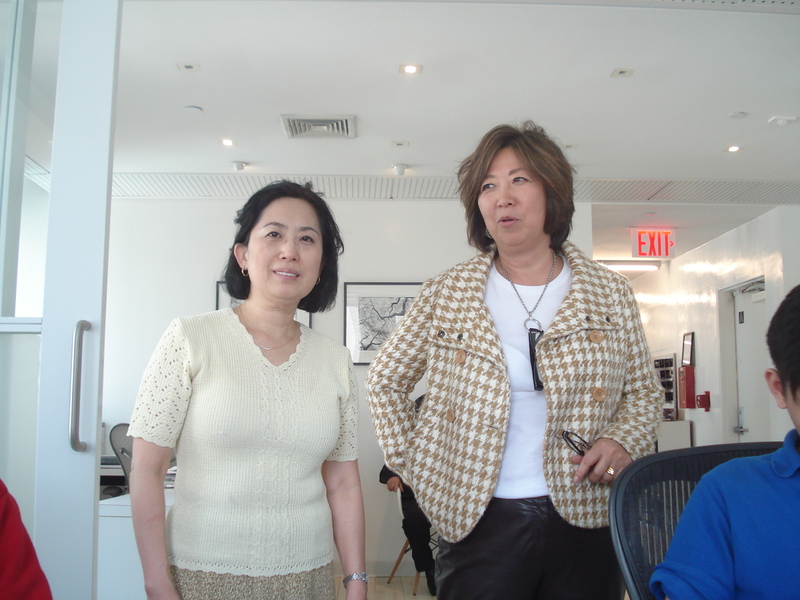 Followed by a tour of JJFD Interior Designing Company and viewed sample designs and architectural projects. 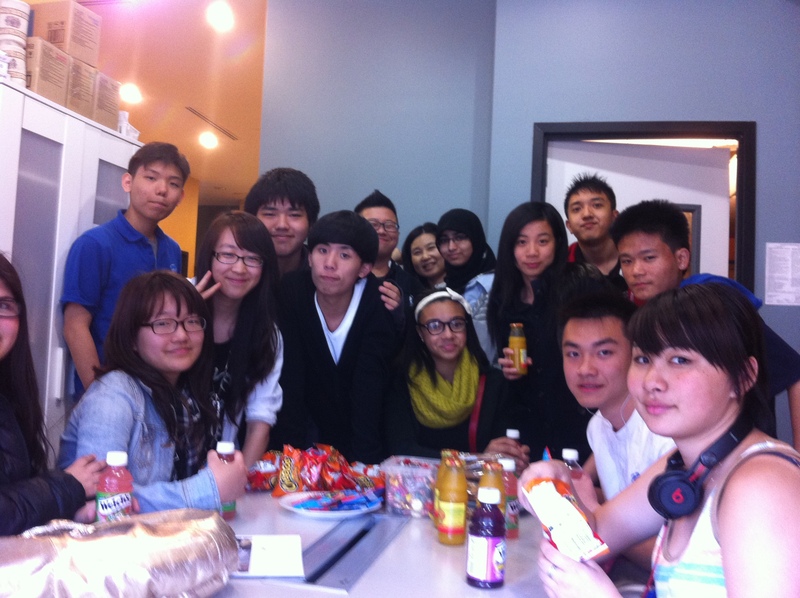 At SM Institute where students enjoyed refreshments and toured the academy. 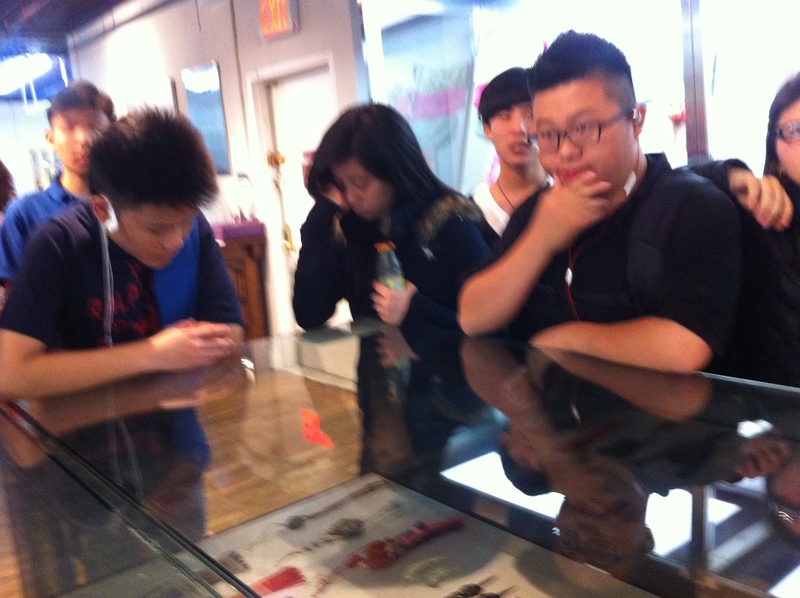 Lastly, our students enjoyed a guided tour of Lee Young Hee Museum of Korean Culture, a small privately owned museum. 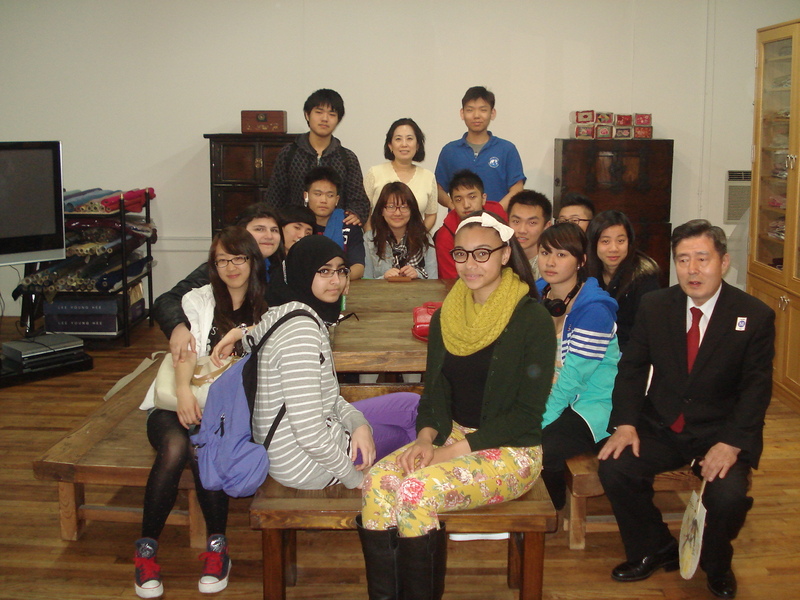 Group photo with Ms. Young-Hee Lee in the Hanbok exhibit where our students viewed traditional Korean clothing and accessories.